Remember in January when we announced our partnership with Cultivate Union for CU x Setu Financial Assistance? Well, we received many qualified applications, reviewed them, passed them onto our board for review and selected two recipients. We’re honored to share the recipients and our board members with you today. If you are just now hearing about CU x Setu Financial Assistance, it’s a program that supports New York yoga teachers pursuing advanced and specialized trainings. Thanks to our partner, Here To Be, we have $10,000 this year to award directly to the community. We are offering people a chance to apply for funding twice in 2019, the first was in January and the second will be in June. Please refer to our previous blog post for full details including an introduction to Cultivate Union. In this first round the selected recipients were Malika Cumbie and Kiki Williams. Their applications were selected by all four members of our voting board, which is unprecedented. Our review board included Ceasar F. Barajas, Ambassador and Trauma-Sensitive Yoga Teacher for the Veterans Yoga Project, Kerri Kelly, founder of CTZNWELL, Jessica Mingus, Director of Programs at Lineage Project, and Krissy Shields, Founder of Maha Mama and advocate for women and children. Over the last year, we’ve developed relationships with each of them and were honored to have them weigh in on this important selection. I’m sure you want to hear more about the recipients, so here are excerpts from their applications. CU x Setu: Please describe why you are interested in completing this training and how it will impact the communities you serve. I wish we could have healing centers and yoga studios on every corner in Brooklyn. Right now more than ever the world needs healing. The news can be traumatizing, that along with the normal trials of life. I believe yoga is a healing modality that not only heals physically, it heals mentally and spiritual. Healed people rarely hurt others. Healed people heal others. In May 2018 after a fire, with the help of my community I raised money for my 3 year old daughter and I to get a new place. I was reminded of the humanity of people to come together and support each other. I moved into more space than I needed so I started Peace Place Brooklyn to give back. During my pregnancy I was going through stress and yoga kept (and keeps) me sane and prepared me for my home birth and motherhood. I believe pregnant women are superheroes and they deserve all the resources needed for them to feel empowered and cared for. I want to serve pregnant women because they are the center of the family, and the community. A mother that is empowered and has a consistent self-care routine affects her children for the better. The ripple effect is enormous. To be able to teach prenatal yoga at my studio Peace Place would compliment the services I offer and fill a much needed vacuum. In the area of Bedford Stuyvesant and Crown Heights, there isn’t a yoga studio that offers prenatal yoga consistently. Peace Place, would offer prenatal yoga at least five days a week. Not only will prenatal yoga support mothers in there self-care, it will save lives. Currently black women die in childbirth at double the rate of white women. Prenatal yoga will support women in listening and trusting their body more. This scholarship would mean more women served and less women feeling the need to have an epidural which leads to c-sections. Or if that is their choice being empowered and in tune with their body. Peace Place is a safe healing space inclusive for everyone especially marginalized communities. This scholarship would support me in serving people who come to Peace place and wherever I teach yoga. As a queer woman of color, particularly one that teaches in NYC public schools to the black and brown babies, as well as in the queer and trans community, it is of utmost importance that I show up with as many tools as possible to offer them opportunities to feel embodied, experience calm, soften edges and ultimately experience liberation in a world that often often keeps them from it. The training I applied for has a large emphasis on the subtle body and a more energetic understanding of the body. It hones your intuition and the ability to deeply understand what is needed each time you walk into a room to teach as a yoga teacher. I want to do this training because it directly impacts the communities I serve for the better. I teach in several, vastly different but amazing communities. 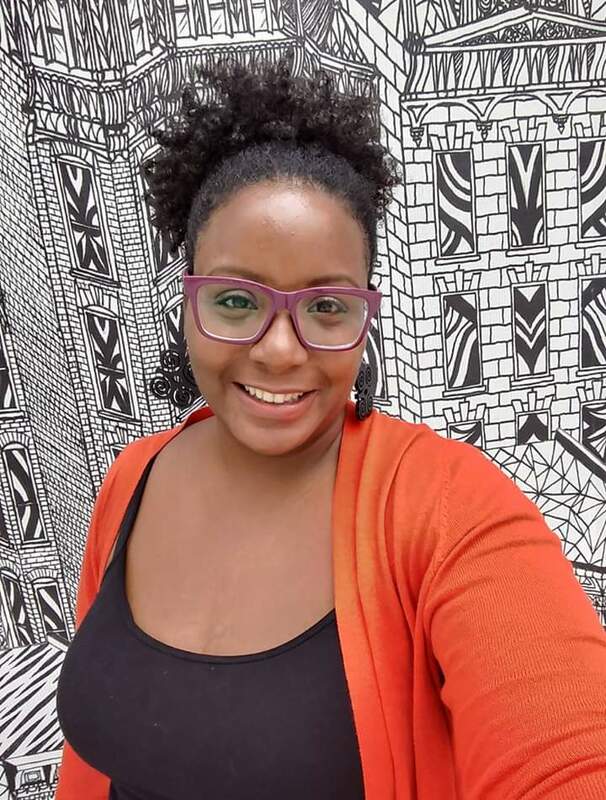 I teach adult classes at Third Root Community Health Center, which is a multi-racial, cross-class, intergenerational community, and a worker-owner cooperative with an anti-oppression based business model. This establishment is a dream, and it’s an honor to be a part of it. Through Bent On Learning, I am the yoga teacher at Manhattan Hunter Science High School. All of my students are between the ages of 13-18, and are full of anxiety, angst, and wisdom. Watching them learn how to breathe deeply never gets old. I also teach private classes within the Hasidic Jewish community of Borough Park, Brooklyn. These women are some of the most hard-working, strong-willed women I’ve met, and it’s an honor to hold space for them to be in community outside of their busy lives each week. My journey to yoga began before I knew it did. I am a modern/contemporary dancer, and as I was studying before and during college, there were elements of yoga woven throughout classes and my movement practice. During my senior year of college in 2010, I took my first yoga course. As a college level course, it included both journaling as well as frequent readings from texts such as the Sutras and the Bhagavad Gita. It was through this experience that I first truly felt a connection to spirit, as well as a sensitivity to how the body/mind interacts with the world it currently resides in. I’ve continued as a student of yoga because that connection is what I have come to know as home, irregardless of my physical location or closeness of family and friends. When uncertainty arises and I feel unsteady, I always have this body, the breath, and the support of the Earth below me to find support. You can learn more about Malika and Kiki through their profiles in our directory. 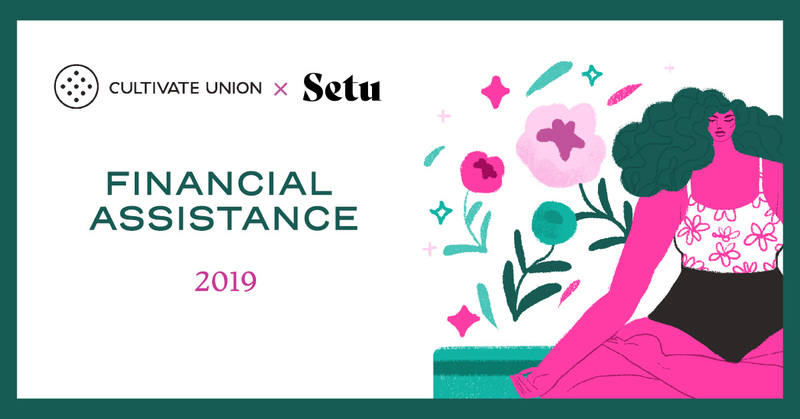 To apply for CU x Setu Financial Assistance round two, please follow us on social media for updates and announcements.